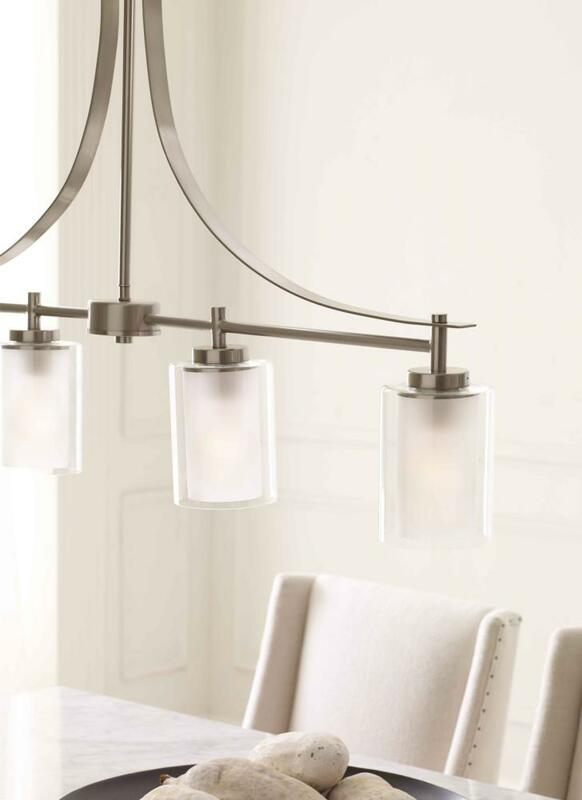 Elmwood Park by Sea Gull Collection has clear glass tube shades with an inner white glass element that softens the light and helps cast an even glow. 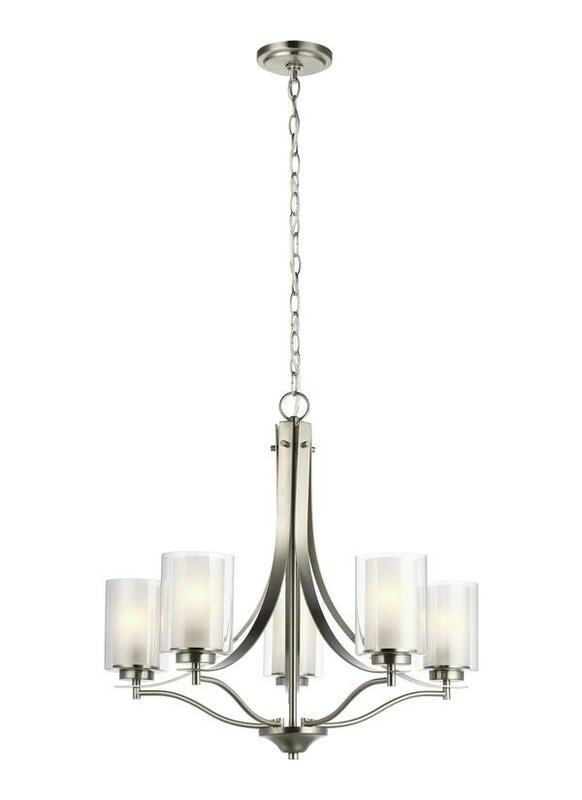 A cylinder of etched glass is centered within a larger cylinder of clear glass which encircles each light bulb to create this stunning visual effect. 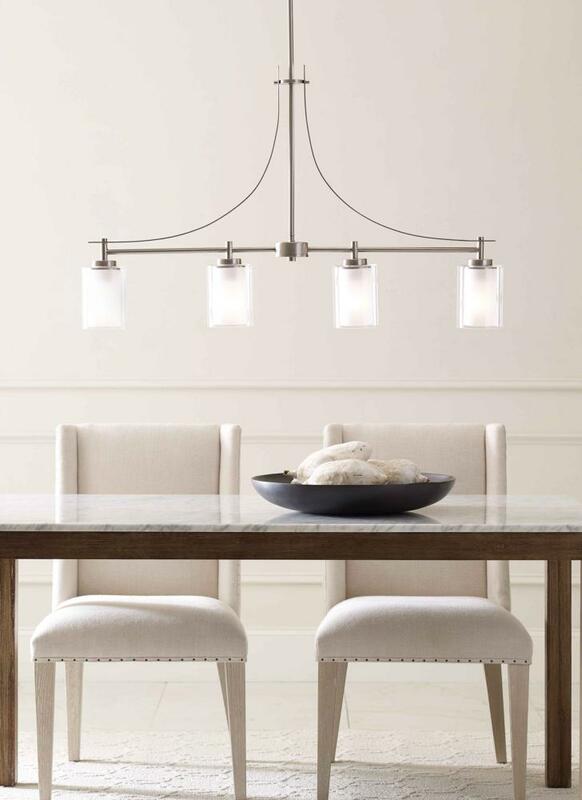 The full assortment includes three-, five-and nine-light chandeliers, a four-light linear, one-light mini pendant, a three-light pendant, a two-light semi flush which is convertible into a pendant, and one-, two-, three- and four-light bath fixtures. 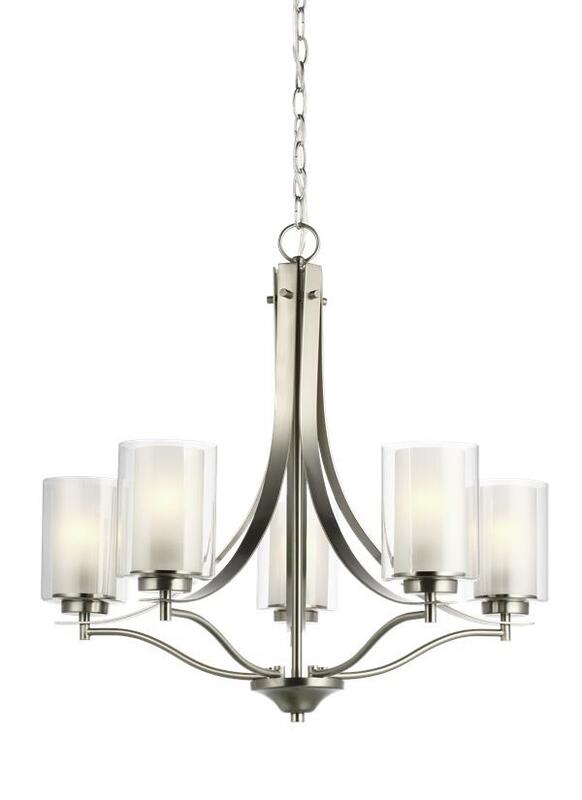 All fixtures offered in either a Brushed Nickel or Brushed Oil Rubbed Bronze. 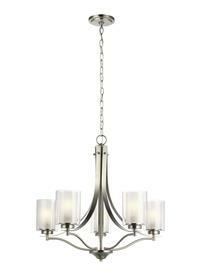 Incandescent and ENERGY STAR-qualified LED lamping are available; all fixtures are California Title 24 compliant. 5 LED Medium A19 9.5w Max.